According to the Roof View Place receptionist, today the king’s body would be transported from the hospital to the Grand Palace, which isn’t far from here. 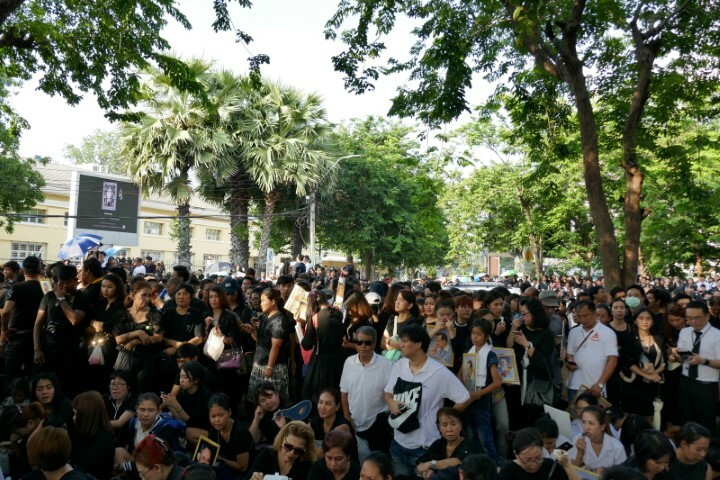 Thais will head en masse to this part of town to pay respect, and catching a bus to anywhere else was a chancy prospect due to possible road closures. There were options of taking a river boat, but history was being made here – instincts told me to stay put. So – abandon all plans ye who enter here on this solemn occasion. In my case, that only meant, for now, a dental check-up, and travel vaccinations for Myanmar (that may or may not have been possible anyway). After breakfast, the couple in the next room could be heard reacquainting themselves with each other following last night’s marathon. Her squeals and shrieks carried along the passageway. 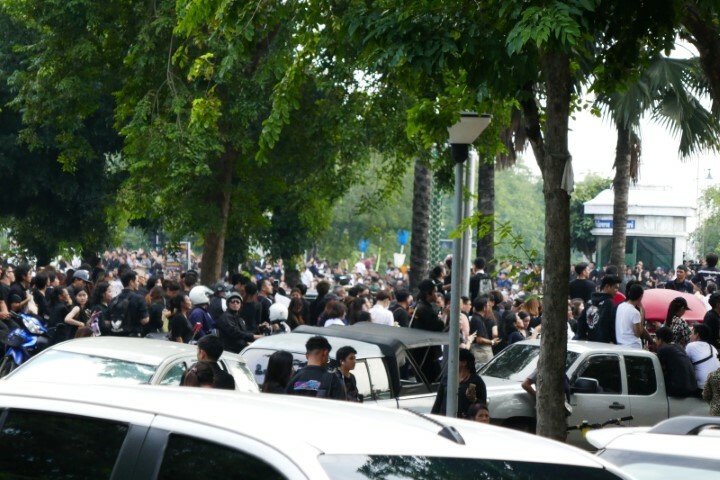 That might read as flippant or disrespectful to a sad occasion, but in reality the majority of Thais are going about their lives as normal, regardless of how devastated they might feel. They can compartmentalise one event from another. 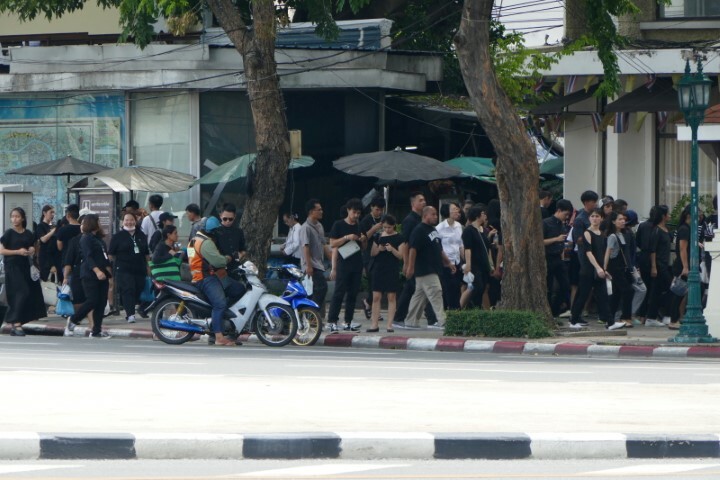 If you just arrived in Thailand and hadn’t heard about the king’s death it’s unlikely you’d learn about it by observing people’s behaviour, despite media images to the contrary. His long illness and absence from public life has probably better prepared them as well. However, to get a better understanding of possible ramifications for visiting travellers like myself, I had intended to buy today’s Bangkok Post, but by the time I remembered again it was sold out. I eventually found a communal copy attached to a footpath stand near Soi Prasuli. There was surprisingly little in the way of news and information, anyway – mostly a commemorative wrap around with condolences from foreign heads – a sign that print-edition newspapers have been emasculated to the extent they lack flexibility to adapt to an event like this? 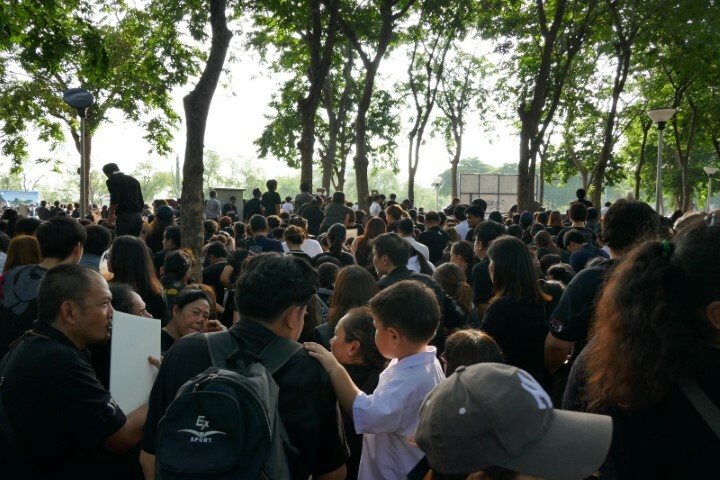 It was nearing midday by now and Thais dressed in black were making their way to Sanam Luang, a wide open field – or more precisely, to the road that circumnavigates it to the Grand Palace. Roof View Place reception had also revealed the motorcade was meant to pass by at 4pm. Quoted times like this should be taken with a dose of doubt in Thailand, but it was something to go on. After a coffee and savoury bun at Konnichipan (my favourite Bangers bakery) in Chakraphonse Road I ventured toward Sunam Luang. And got as far as this. The road is still a distance away. Sanam Luang is beyond the far trees. The sun peeped out and up popped the umbrellas. 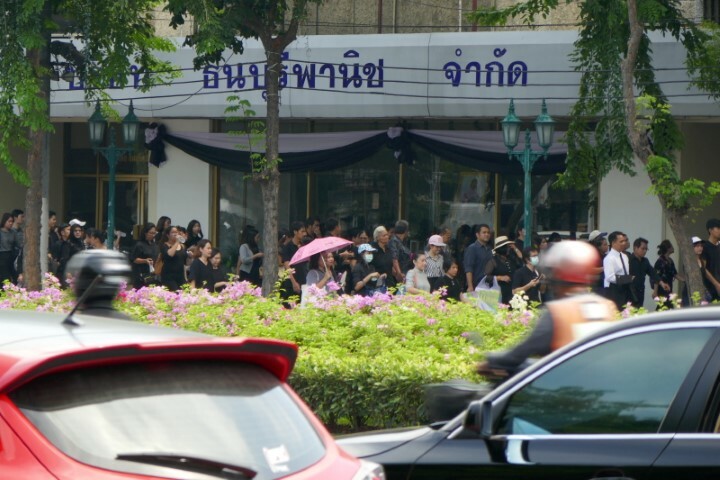 Many of these mourners had been waiting since midday, and earlier. It was still over an hour until 4pm, and conditions were oppressive and cramped, so I backtracked for a fruit shake. When I returned I was positioned further back. I wouldn’t see the procession, but I could witness it, and that was enough for me as an outsider. Thais were still flooding in. Many carried portraits of the king. A man sold calendars. People flapped fans. Those in the sun jiggled their open umbrellas up and down to generate breeze. 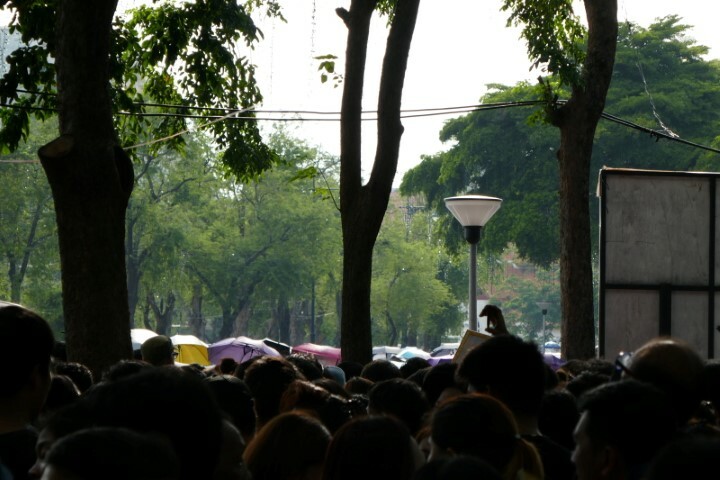 At around 4pm a murmur rose from the crowd and carried like a ripple of wind that becomes louder as it nears. Everyone went down on their haunches, squatted, knelt or sat on the ground to pay respect. There was a smattering of applause. But it was only a minor dignitary, or a false alarm. We waited once more. A car alarm chirped. A real ripple of wind briefly tempered the heat. A woman behind us barked instructions. She was receiving updates from her smart phone, but they proved false alarms too. Another woman shouted in English, “sit down, please,” which could’ve been directed at me, though many others were also standing by this and I had taken their cue. I crouched again, kneeling at times for comfort and to gain extra height, appreciating the flexibility courtesy of recent exercise regimes for a dodgy leg. It was close to 5pm by the time the cortege went by. You could just see the tops of the vehicles in the motorcade. Like previously there was gentle applause; others held palms together in a wai. There were few tears. 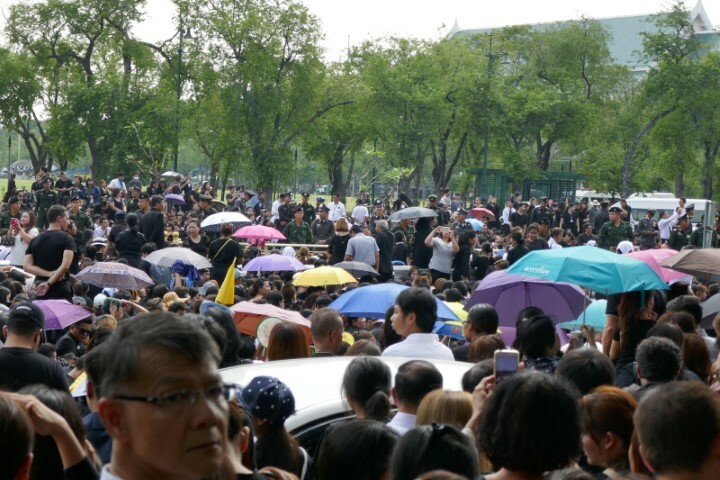 The people were respectful and calm, mature – as you’d expect from Thai people in these matters. A prayer, or similar, was offered in quiet unison then everyone began rising to their feet. 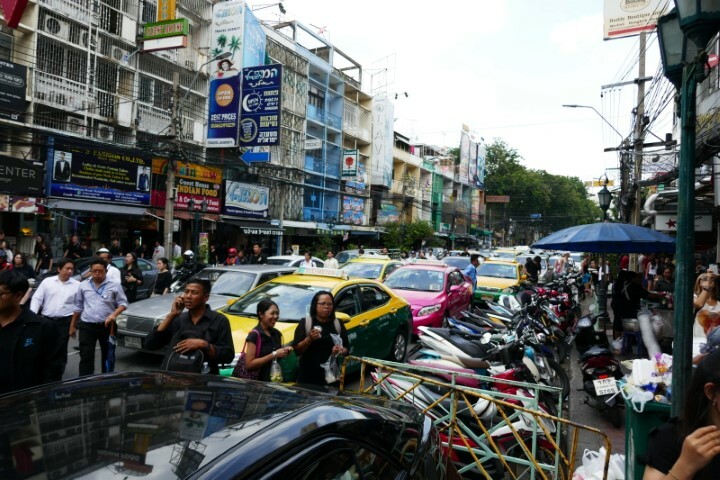 Now, mass exodus, – though it wasn’t a simple matter navigating the parked cars and motorbikes. 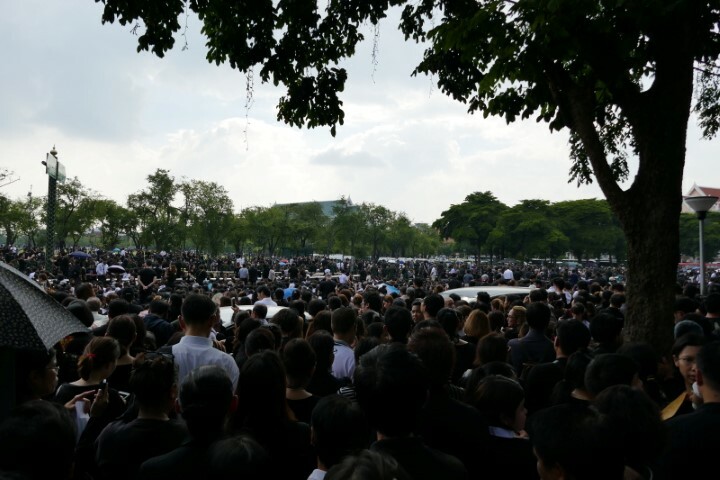 From hereon will be 30 days of mourning (as the first part of the year-long period), which means life going on as normal minus public displays of excessive celebration. For tourists that likely means cancelled festivals, and venues refraining from playing loud music. Given many of the bars catering to tourists are stuck in a 70’s time warp that won’t be a loss to me. 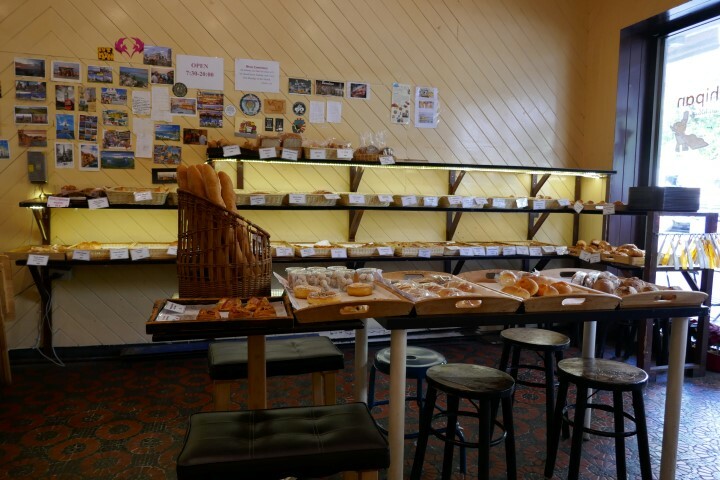 They have an opportunity to prepare a new repertoire – but I’m not optimistic. I could miss Isan music though, but can live with that. It’s their country after all. 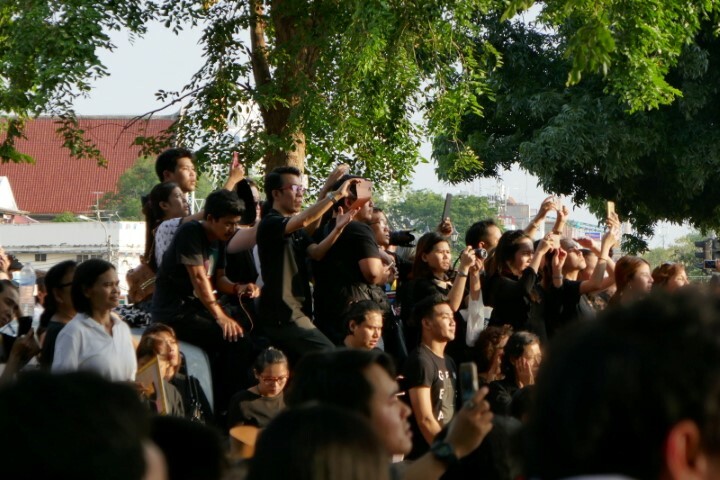 King Bhumibol, meanwhile, is widely considered by Thais to have done a lot for the common people and been a unifying presence for 70 years, and his legacy will live on.